Sash Window Experts are your first port of call for sash window repairs and restoration in Guildford. Whether your windows require a simple repair, a major renovation or complete replacement, we have more than 20 years’ experience in looking after traditional sash windows. 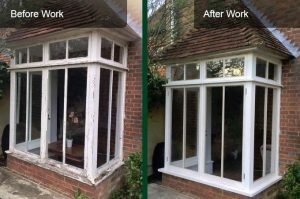 Our team of dedicated craftsmen use specialist repair and manufacturing techniques in order to restore your windows back to their former glory. With meticulous workmanship, we take great care to preserve the appearance of your sash windows, helping to prevent drafts and water ingress, and reducing your energy bills. At Sash Window Experts, you’ll find us incredibly passionate about the heritage of British housing. 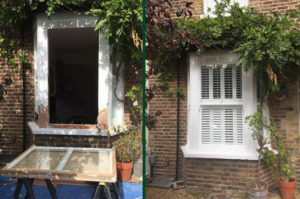 Did you know that nearly three quarters of all original box sash windows in the UK have been lost due to the demolition of older properties to make way for newer housing stock with modern window styles? We firmly believe that traditional sash windows should be preserved wherever possible for the sake of our British architectural design heritage. 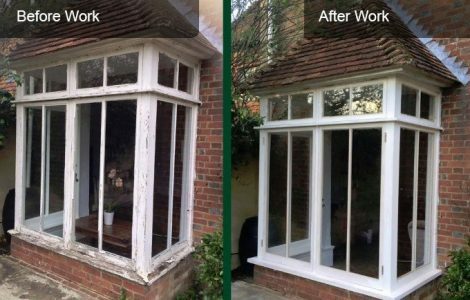 Our skilled team is committed to carefully repairing, restoring and maintaining stunning period windows in properties across Guildford and the South East. See examples of our latest work on Facebook. We bought a Victorian property with lovely old windows, most of which were rotten and in desperate need of attention. In fact, we weren’t sure all of them were worth saving. When I called Mark from Sash Window Experts he stood out straight away. He came to see us the day after and seemed to know exactly what to do to bring our sash windows back to life. Mark’s window repair service was excellent and well worth the money. 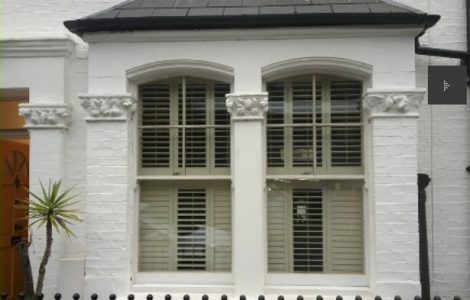 Very happy with the work done by the Sash Window Experts. They took the trouble to assess the (advanced!) 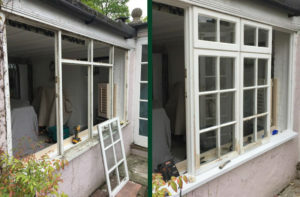 state of decay of the old windows and rather than recommending ripping them out, gave me a reasonable quote for a complete restoration. I was impressed by the fact that they really cared about preserving an important historical architectural feature. The passion and expertise showed and we now have beautiful fully functional windows all through the cottage. Thank you! Great to see that traditional craftsmanship is alive and well. Mark did a superb job and I would highly recommend him to anyone that has problems with their period windows. Dear Mark, just a quick note to let you know how thrilled we are with the work you carried out to the Victorian sash windows in our sitting room. What a transformation – no more draughts, and they open and close beautifully just like new! I hope you don’t mind that I’ve passed on your details to one of our neighbours. Thanks again for all your hard work. 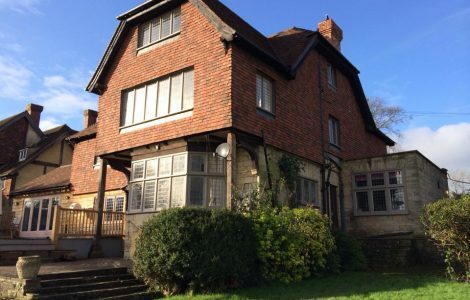 As a family run business and with excellent customer service always at the heart of everything we do, we offer competitive rates to homeowners in Guildford and all over Surrey. 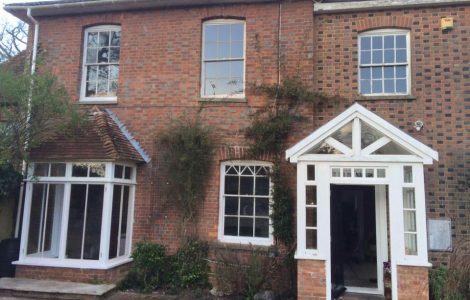 If you wish to maintain the beautiful look of your sash windows Guildford homes have historically preserved, but need help with repair or restoration to bring them back to perfect condition, please don’t hesitate to get in touch. 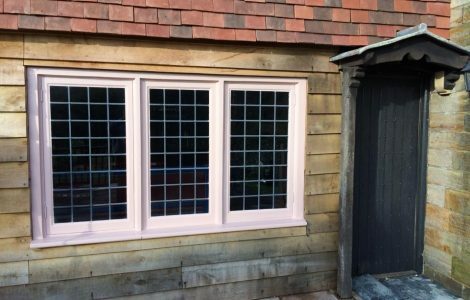 For sash window repairs in Guildford, our friendly professional team is at your service. Give us a call today on 01483 299587 to discuss your needs and get a free, no obligation quote. We are avaliable to give you a quote over the phone Monday - Friday 08:00am - 18:00pm & Saturday 09:00am - 17:00pm. You can contact at us any time using the contact form above. We cover all the boroughs in Guildford including: Godalming, West Clandon, Shalford, Shere, Ripley and many, many more.